Broccoli is not my favorite vegetable. 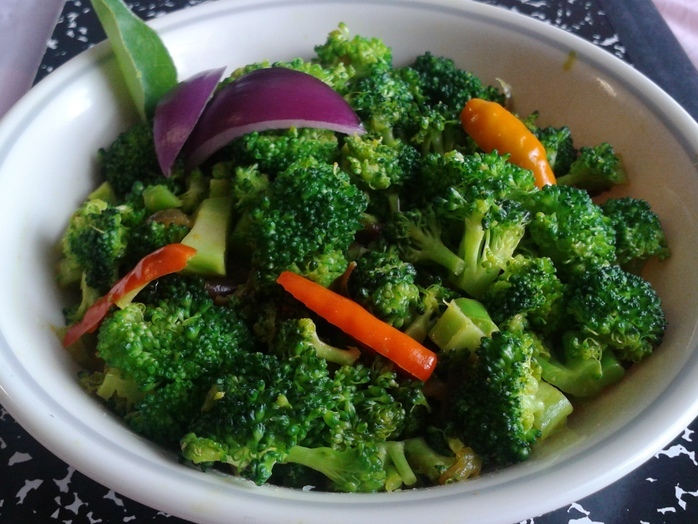 But stir fried broccoli with garlic as a side dish is really great. It's a good source of protein, dietary fiber, vitamins and Iron. 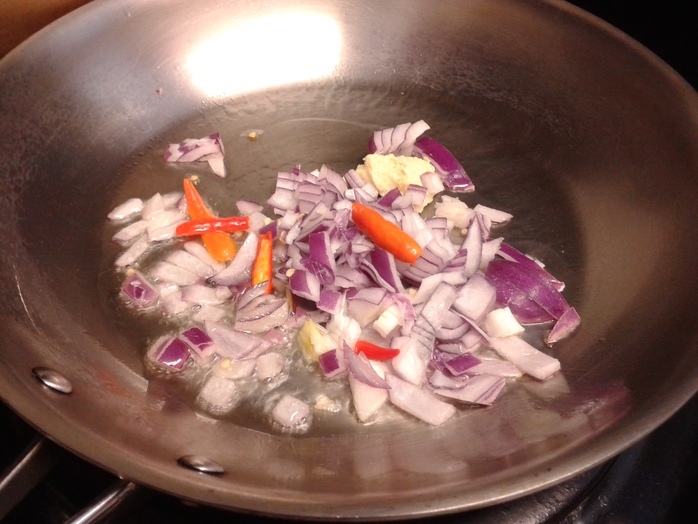 This is an easy Indian style stir fry. Heat oil in a pan on medium fame. 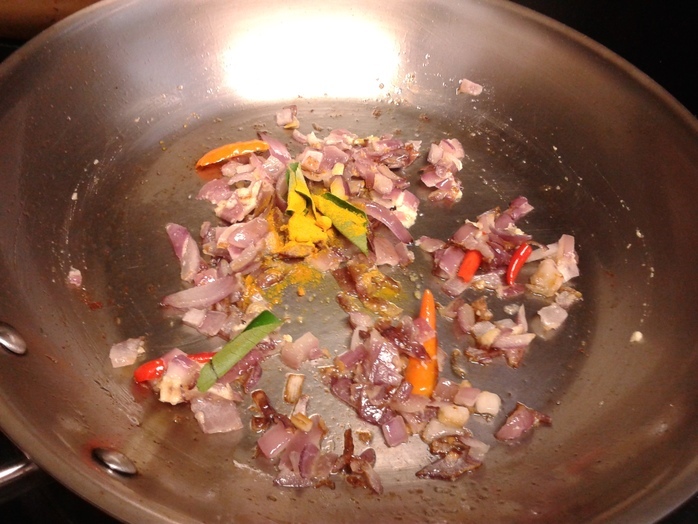 When oil is hot, add the chopped onion, chilli, garlic paste. Stir and cook until the onion is soft. Add curry leaves and turmeric powder. Stir well. Then add the chopped broccoli and salt. 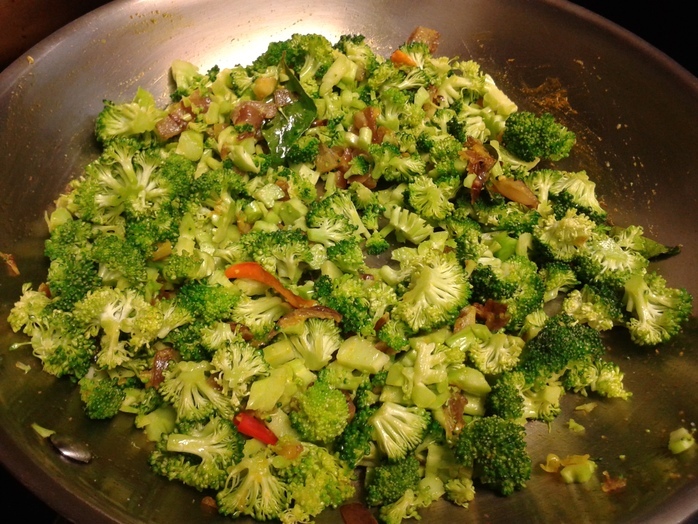 Mix well and cook for 8-10 minutes or until the broccoli is tender. Switch off the flame, cover and let it sit for 2 minutes.